Monkey See, Monkey Do is a saying that originated in Jamaica in the early 18th century and popped up in American culture in the early 1920s. The saying refers to learning something by mimicry, without understanding why it works or concerned about the consequences. Kids learn many of their life time habits, good and bad, by mimicking their parents. Monkey See, Monkey Do. What parents model is extremely influential to a child. 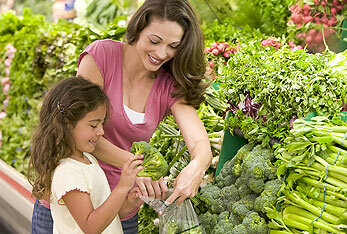 Many parents preach a healthy lifestyle to their kids, but then do not do it themselves. Kids do what parents do, not what they say. Parents who are over-weight, over-eat, drink soda, eat fast food, and don't exercise, more often than not, have children that live the same unhealthy lifestyle. This can lead to an over-weight or obese child. So parents start today. Eat in a healthy way. Exercise. Be a good role model for your children. The added benefit is you'll feel better too!